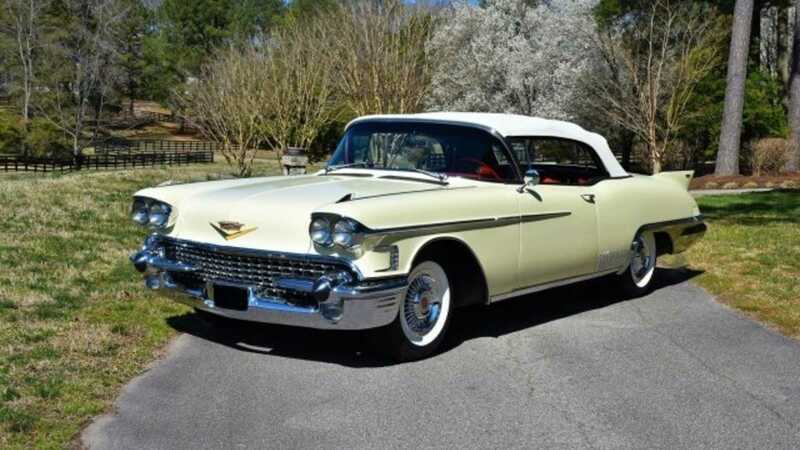 1950s America was an automotive powerhouse, producing some of the most iconic, revolutionary, and glamorous machines to grace the highways. The flourishing economy of the period spurred manufacturers on, making America the largest producer of cars in the world at the time. 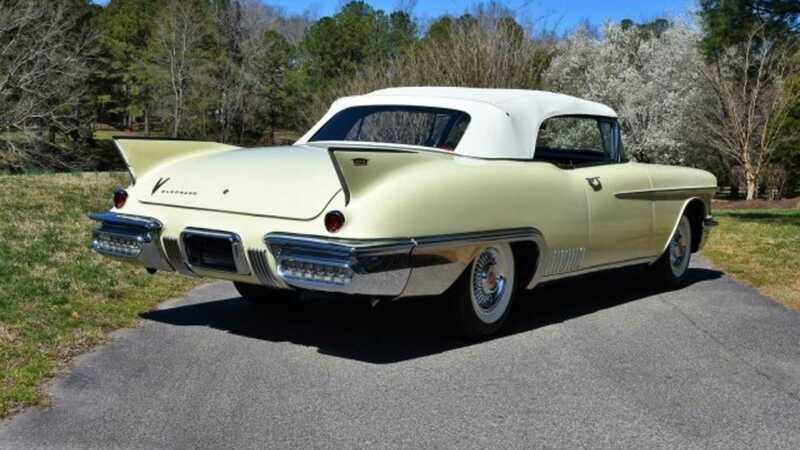 Evocative models such as this Cadillac Eldorado Biarritz filled showroom windows with pure style. 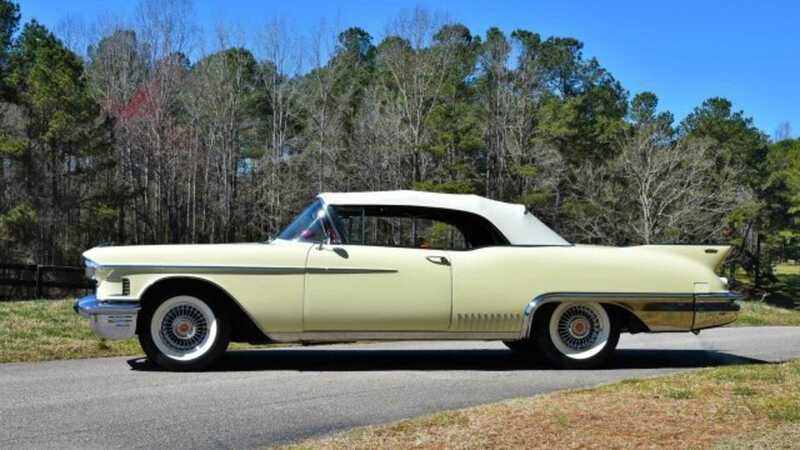 Fully restored and looking as eye-catching as it did when new back in 1958, this Eldorado being auctioned by Raleigh Classic resonates sophistication with its timeless design. 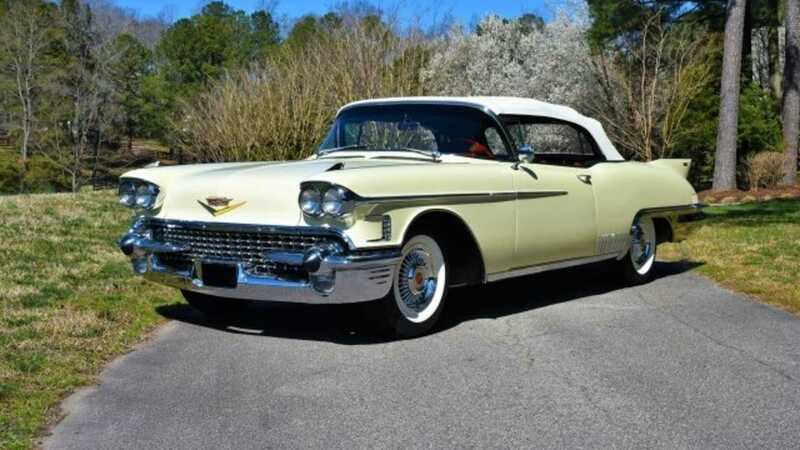 Its factory correct yellow paintwork compliments the extensive chrome work that defines automobile of this era. 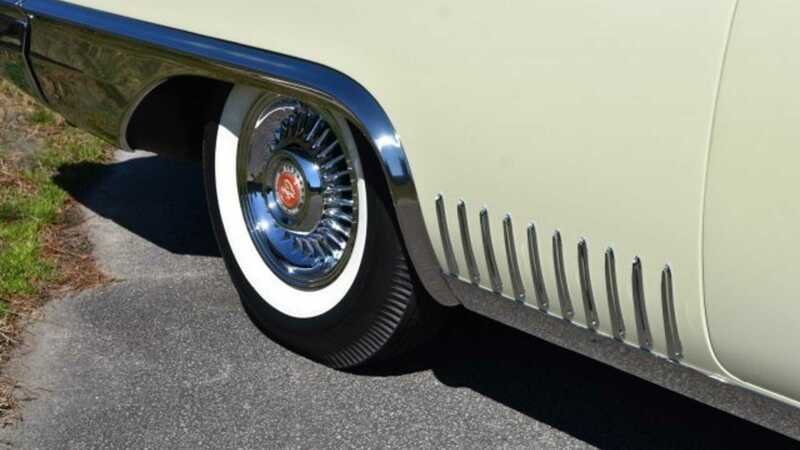 The car’s considerable length hosts plenty of intriguing details such as chrome arrowheads sitting above the headlights, intricate Sabre spoked aluminum wheels, and those distinctive aeronautical rear fins. 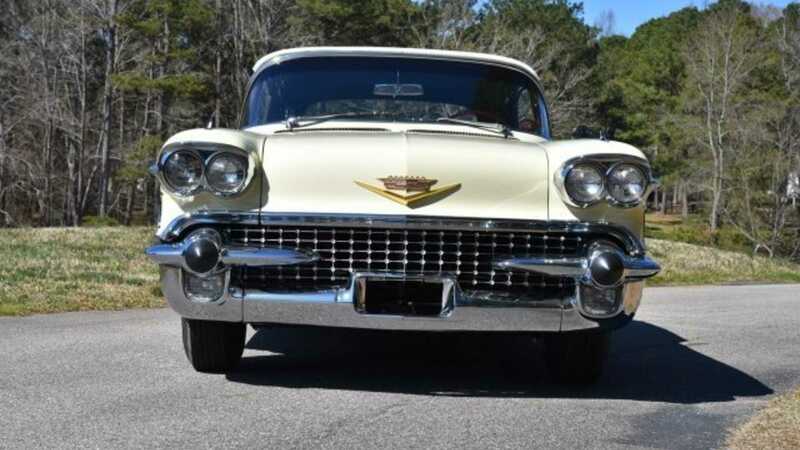 Its extensive restoration in February 2015 included re-chromed bumpers, new carpeting, a fresh tinted windshield, new weather-stripping, and correct satin-finish black chassis paint. 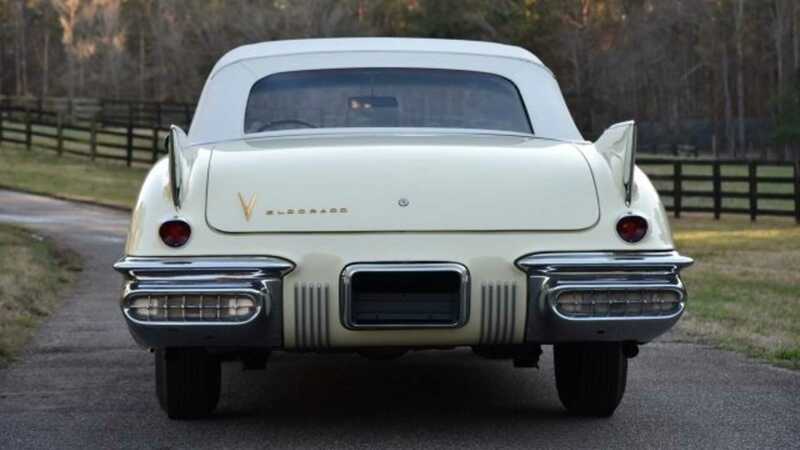 Under the hood you’ll find an unblemished 365 Ci V8 motor, crowned with a Tri-Power carburetor and factory-correct air cleaner assembly. This 335-horsepower engine makes it a perfect cruiser on a beautiful sunny day with the roof down. 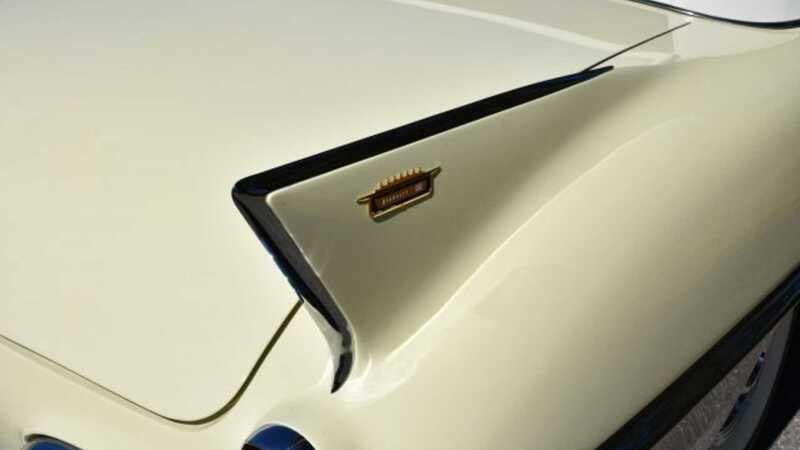 Speaking of the white Haartz convertible top, peel it back to reveal a classy red interior that appears in as-new condition. 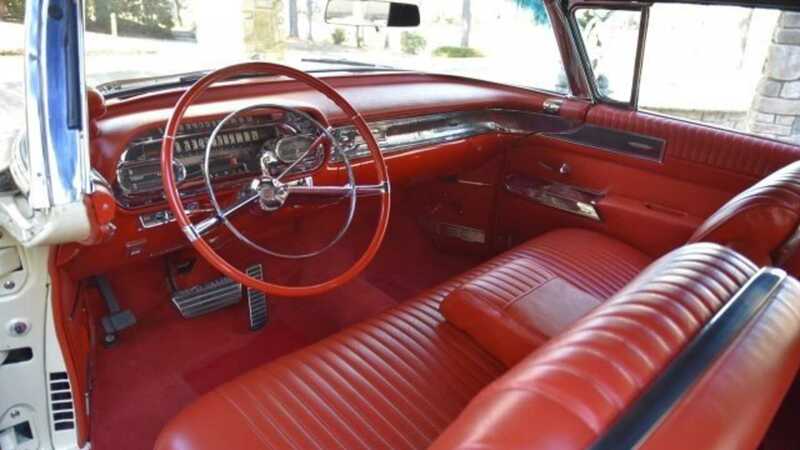 The chrome theme continues with the dashboard lined with metallic detailing and a period correct steering wheel. 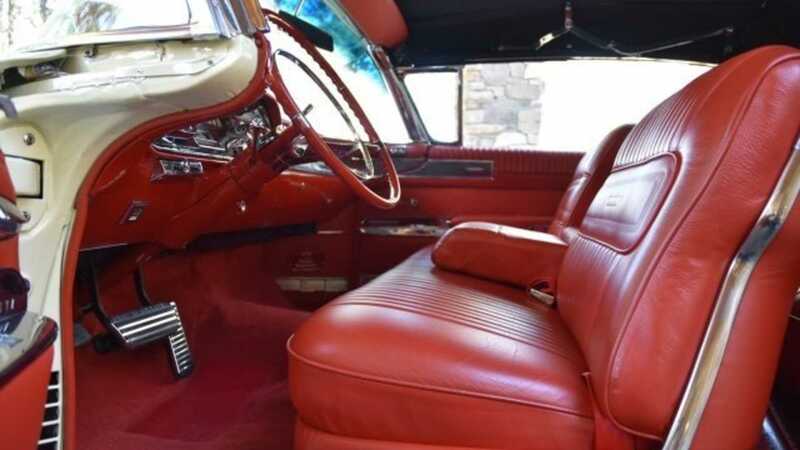 This opulent cabin with plush leather is the exactly what luxury motoring of the 1950s was all about. 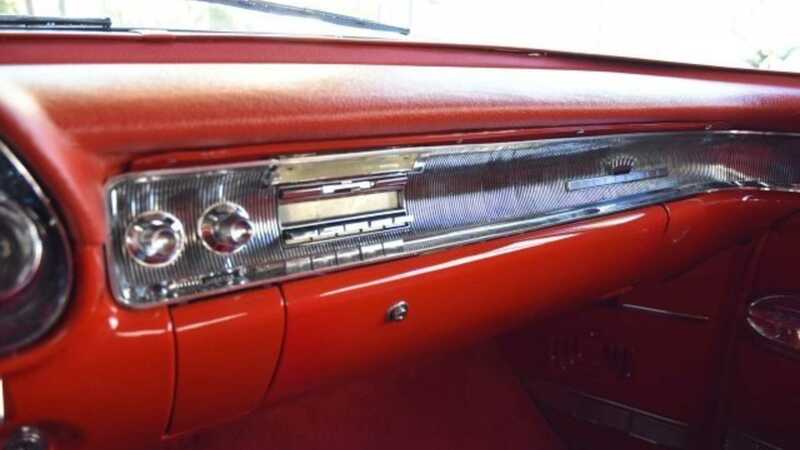 Despite this car’s classic status, it also features some gadgets from the factory that were pretty advanced for its time. 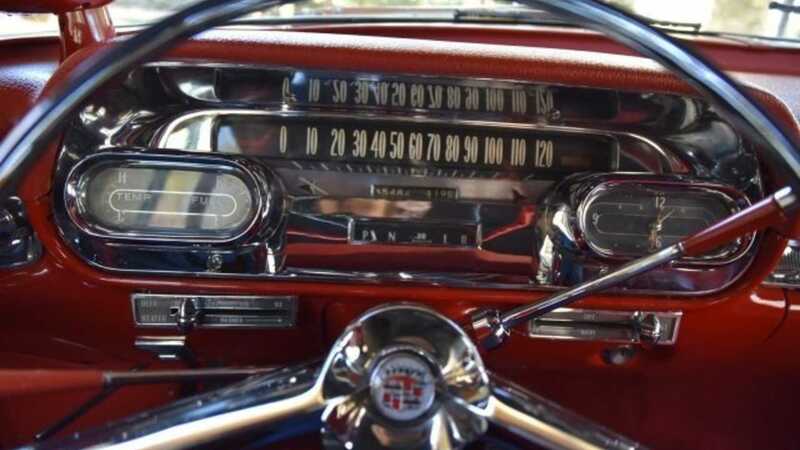 Autronic Eye automatic headlight dimmer, signal-seeking radio, and a remote trunk lid were fancy toys to have on a car in 1958. 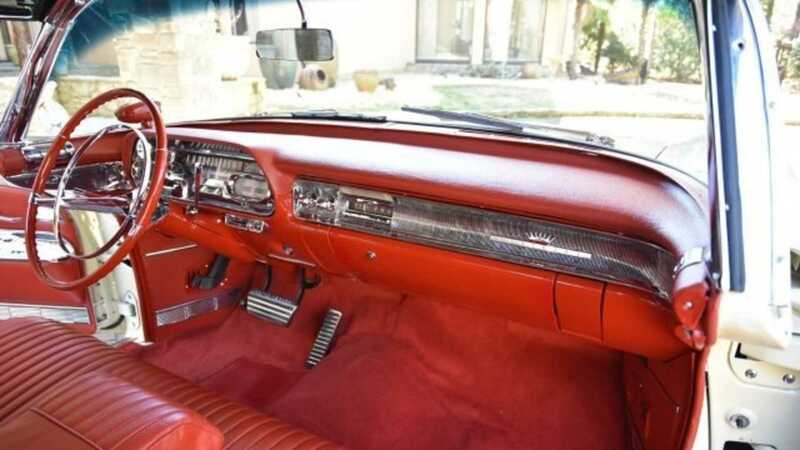 This example also has power steering and power brakes equipped. 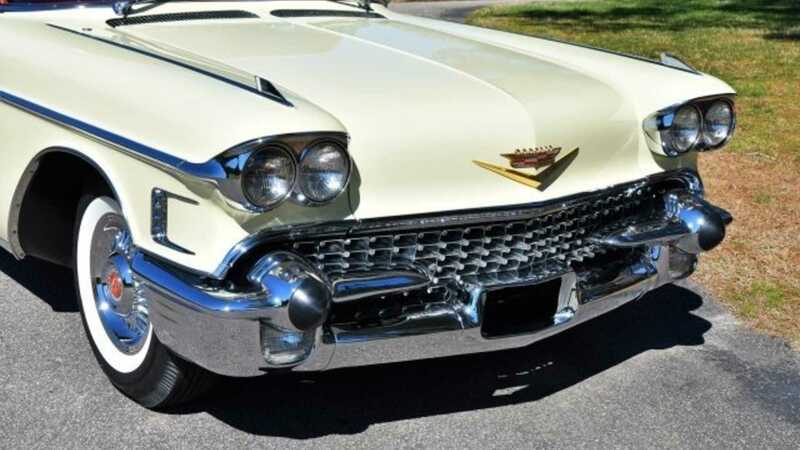 The Cadillac Eldorado has a lineage of 10 generations with the very first appearing in 1952. This ‘personal luxury vehicle’ endured for fifty years with the final tenth generation car rolling off the production line on April 22 2002. 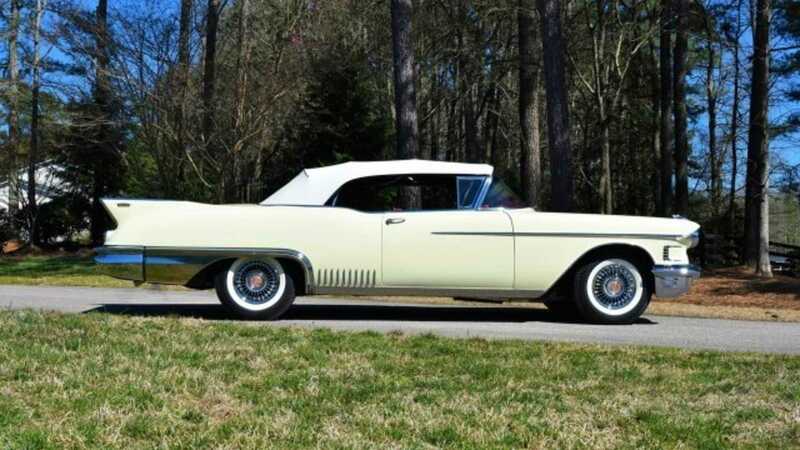 This Cadillac Eldorado Biarritz is one of just 815 examples produced in 1958, and its fully restored status must make it one of the finest in the country. 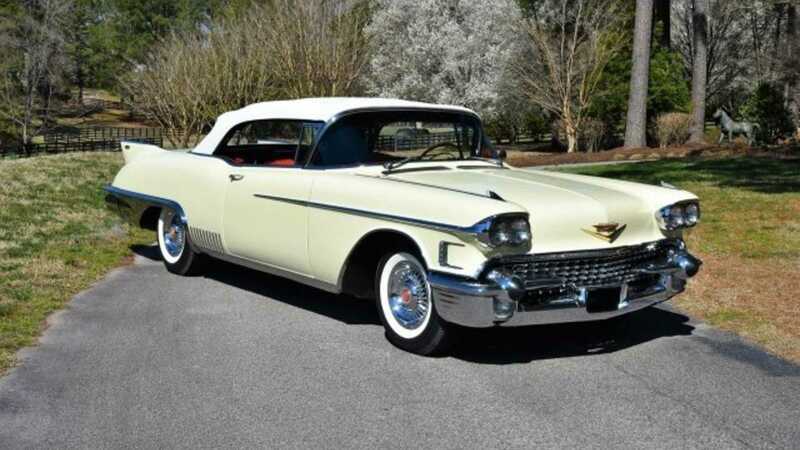 Raleigh Classic has given the car an estimate of $245,000 - $250,000.